I need to hurry up and get this posted! Since my last posting, the FAAN conference in Illinois took place. I have heard good things about it via twitter. 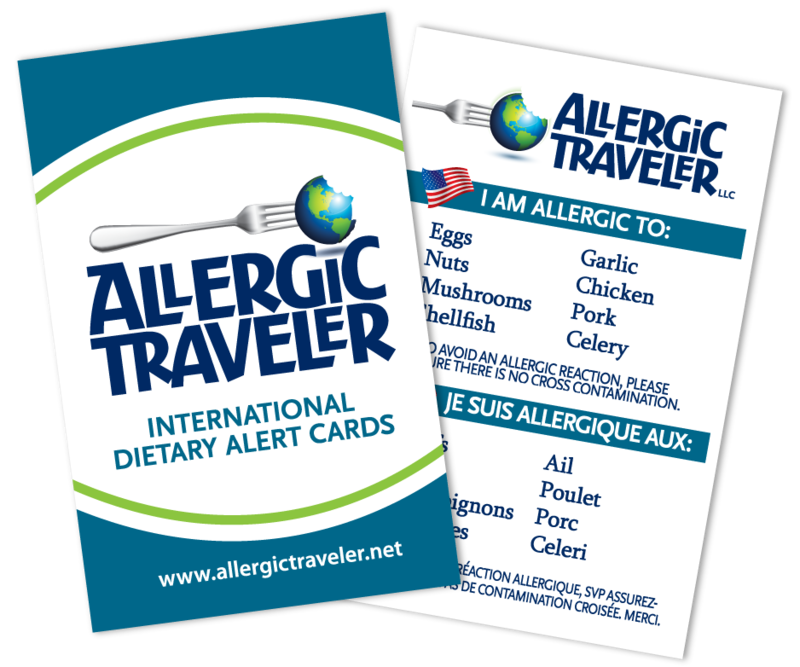 If you are not following us on twitter @allergictravelr, I would highly recommend it. Not only are there helpful hints and tips all over twitter but you will also find a community support group. Whether it be allergists, moms with allergic children, allergy friendly chefs, no matter who you are looking for, they are out there. Of course keep in mind, that you never know who you are following so take the advice with a grain of salt (that’s my little disclaimer, you like?). In all seriousness, I have found it to be quite vital in many things I do. I can appreciate the fears of moms watching their kids have allergic reactions, I appreciate the FDA warnings of which products to stay away from due to undeclared allergens, and most of all I appreciate the fact that I am not alone. It is important to bring awareness to allergies and the more you tweet the better it is! Ok, I know I digress. My last post focused on the authors at FAAN. This one will focus on the doctors that presented. There were 3 doctors that presented that I had the fortune of listening to Dr Wood, Dr Weiss, and Dr Shemesh. For this posting, I will focus on Dr Wood and how his presentation related to me. I will discuss the other two doctors in future posts. Dr Wood is the Director of Pediatric Allergy and Immunology at John Hopkins University. We all know that allergies are on the rise, but you may not realize to what extent. According to Dr Wood, “allergies are twice as common today compared to 15-20 years ago.” And you know what I concur! As mentioned previously, my sister and I were the only ones at our school with allergies. Today, they have peanut free tables in the school cafeterias, they have no sharing policies at schools, and kids have specific areas to keep their Epi-Pens®. I love progress! Back to Dr. Wood, he highlighted the most common allergens in children are: milk, eggs, peanuts, soy, wheat, tree nuts and now sesame. Sesame is now the fourth most common allergy. The most common allergies in adults are peanuts, tree nuts, fish and shellfish. The good news is that there is a chance if your child has some allergies that are not found on the adult list, they may grow out of them. Or your child could be like me and keep the childhood allergies and get new ones as an adult. This is all very interesting to me. It proves, as Dr Wood mentioned, that there is no rhyme or reason to allergies. There are no set patterns as to who will have allergies and who will not. There may be some common threads but it seems like allergies are not an exact science, sadly. Some may react with hives, others with congestion, wheezing, diarrhea, cramps, vomiting etc…It is important to know your signs or your child’s signs of an allergic reaction. Dr Wood had advice on prevention and treatment of allergies. – Have an Epi-Pen on hand at all times. – Wear a Medical Alert bracelet. I agree with all of Dr. Wood’s suggestions above but I also realize that accidents happen. As they say “there is never a planned accident.” I was a victim of not having my Epi-Pen on hand at all times. I was traveling. I was excited about my new adventure. I was at a beautiful resort for a destination wedding. Sure I had my Epi-Pen, it was in the car! Which was nowhere to be found, the valet guy could not get to it in time so I was rushed to the hospital. It was a frightening experience but let me tell you…LIVE AND LEARN! I will never do that again. I never discovered Antihistamines until I was rushed to the hospital in the story above. The doctor on call said they gave me enough medication to sedate a small horse. I know what you are thinking, how can someone in their mid thirties not have ever had Benadryl®?! Well my mother believed in letting my body fight the allergens naturally. As an adult I can appreciate both sides of the coin. I know that Benadryl can do wonders but there are those that believe that your body builds up a tolerance to medication. Either way, definitely do what works for you. And of course above all, complete avoidance of your allergen is key.